When you’re finding amazing content to share on social media—the kind of thing that grabs attention and gets people to click, share, and comment—one of the most valuable, most original places to turn is your own blog and the content you personally create. So the questions become: How to create amazing content, how to put together blogposts strategically and efficiently, and how to get your content out to the masses. 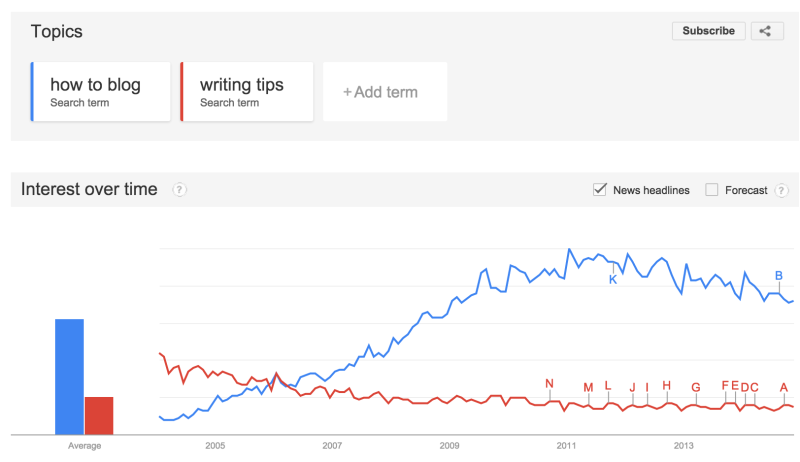 Writing tips are a good place to start. 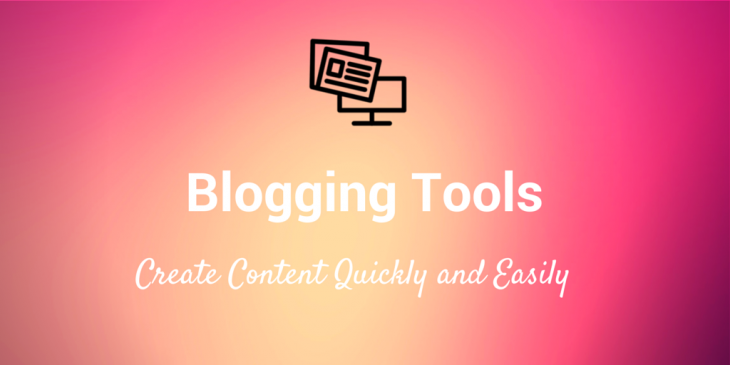 And to supplement the words you use to build your blogposts, I’ve found a huge number of blogging tools that help with everything from coming up with ideas to spread the content far and wide. Do you have a favorite blogging tool? Read on to see if it’s included here in the list, and drop a note in the comments with which ones you love. The crowdsourced answer website can help lead you to the types of questions that real people are asking, questions that you can answer in-depth with a blogpost. Search for your keyword, and follow topics related to your blog’s focus. Enter a topic or a URL into the BuzzSumo search box, and you’ll get a wealth of information on the content that performs best for social media sharing. BuzzSumo can be super useful for fleshing out an existing idea to find the perfect angle or in taking a broad look at the content that does well (and the blogs who do it best) in your niche. Enter a URL into Quick Sprout, and you get an analysis of the site’s performance and content. The “Social Media” tab shows you which posts from the site have been home runs, and you can take inspiration from the highlights on the list. Enter a subject into the Portent tool, and you’ll get a sample blogpost title, complete with helpful and witty breakdowns of why the title might make for a good read. Refresh as many times as you’d like for new ideas. HubSpot’s title maker works similarly to Portent’s. With the HubSpot tool, you can enter three keywords, and HubSpot will give you five titles—a week’s worth of content—to work with. The trending topics section on your Twitter homepage can be a super spot for grabbing ideas from the latest news. Similar to Twitter’s trending topics, LinkedIn Pulse pulls content from the channels you follow on LinkedIn and the people in your LinkedIn network. For additional trending topics on social media, you can check out Facebook’s Trending section and Google+’s What’s Hot page. We like to add all our blogpost ideas into Trello, turning each idea into a card that we can spec out with notes and move from list to list with a simple drag-and-drop. For super fast idea collecting, you can drop everything into Evernote—notes, snippets, photos, webpages, and more. The tagging system in Evernote is incredibly robust, so you can keep your ideas with a simple tag in a number of cool ways—by topic, by idea stage, and more. Calendar tools like Google Calendar can be repurposed as editorial calendars. If publishing one post per day, you can save your ideas as all-day events and move them around the calendar as needed. If you plan on scheduling multiple posts, add a calendar event to the specific publish time. Zoom in and out to see what you’ve got planned for a given day, week, or month. Place your ideas into a to-do list where you can schedule when blogposts might go live and break down the blogpost writing process into manageable steps. Todoist lets you collaborate on shared tasks with a team, too. Another useful to-do list tool, Wunderlist can help you keep your ideas sorted into tasks and subtasks. Even consider adding a listicle idea and creating subtasks for each of the list items you want to add. When your ideas come with files, Dropbox is one of the best spots to store and share things like pdfs, Word Docs, design files, photos, and more. 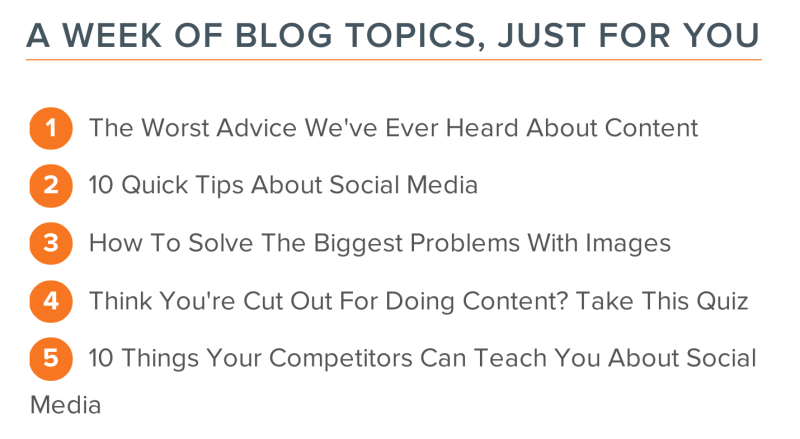 Is your blogpost idea a popular one? You can run the topic through Google Trends to see search volume for the different keywords and phrases you’re considering using. 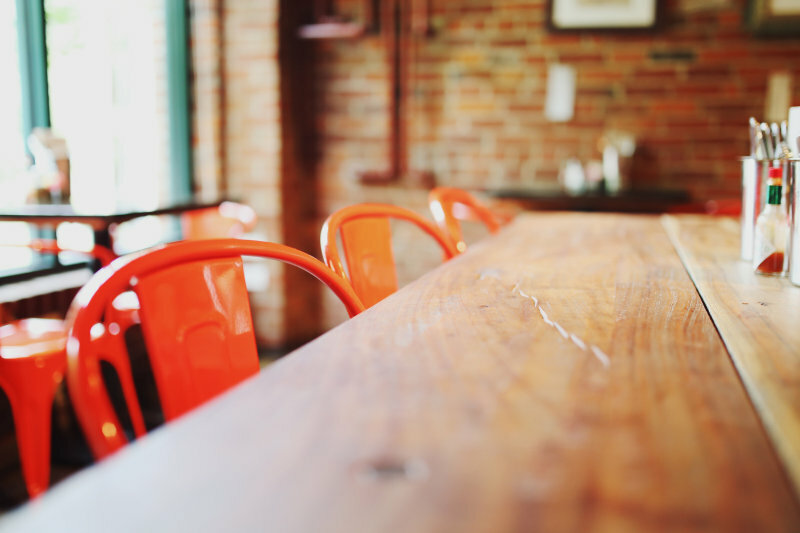 How do you frame your awesome idea into a far-reaching blogpost (that people can easily find)? Check for popular keywords. 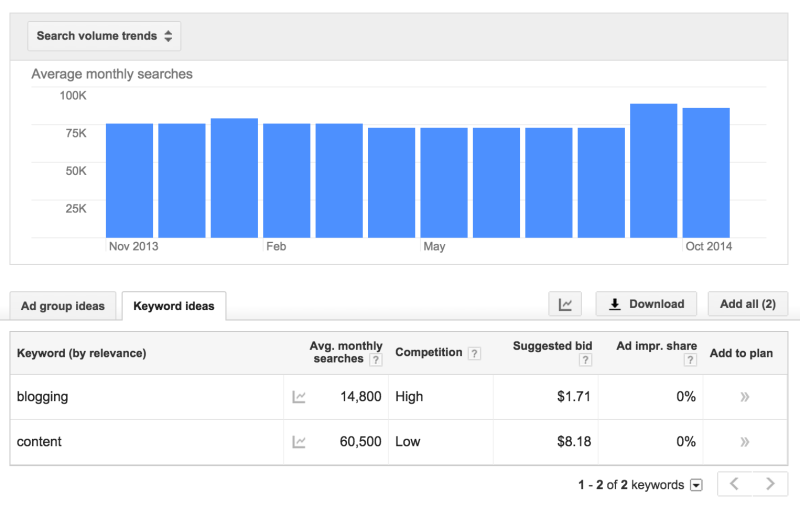 Google’s Keyword Planner lets you enter a series of keywords, and Google returns results on search volume and popularity as well as related keywords that might spark an idea for you. An alternative to Google’s Keyword Planner, Keyword Tool returns up to 750 suggestions for every keyword you enter. SEO plugins can help you fine tune your idea and blogpost into a specific keyword or phrase that will help with search results and help keep your blogpost focused. With Yoast’s plugin, you can type in the keyword that you’re after, and Yoast tells you how many different spots on the page the post appears and a nice green dot for when you’re ready to go. Many bloggers go straight to the writing editor in their blog software (WordPress, Ghost, etc.). You can also consider writing in Google Docs for collaborating with others and tapping into the extra power of Google Docs’ spelling and grammar tools. A super simple timer, tell Egg Timer how long you want to work—15 minutes for research, 40 minutes to write a draft, etc.—and Egg Timer will count down the time. When time’s up, a popup appears and the timer sounds. One of the most straightforward and fun time tracking tools you’ll find, Toggle lets you add a task, push the Start/Stop button, and check back in to see a full dashboard of stats on how you spend your time. It could be really useful for bloggers who want to focus on the time they spend writing, researching, and editing. A really interesting free marketing tool, Hemingway analyzes your text for readability, highlighting sentences that are a bit too complex or dense. The readability for the list post you’re reading now: A seventh grade reading level. Copy and paste your article into Grammarly’s online grammar checker to how it performs against checks for spelling, sentence structure, punctuation, style, and more. The initial score is free to see. The specifics of what to change (as well as suggestions from Grammarly) come with paid plans. This helpful tool is baked right into the WordPress editor. To access the Distraction-Free editor, click on the four-way arrow icon in the top right corner of any WordPress post you’re writing. 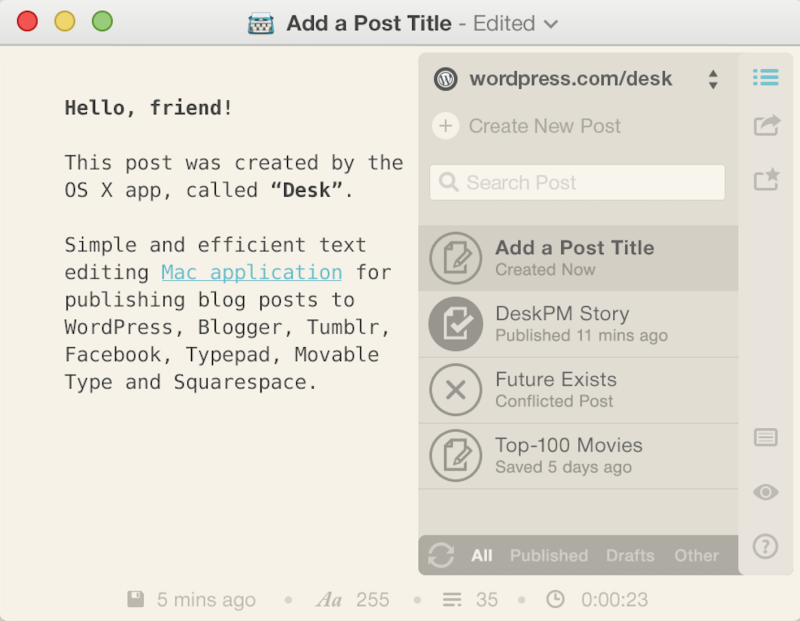 Download the Desk app (currently Mac only) to write straight from your desktop in a clear and uncluttered editor (with markdown support), then connect directly to WordPress, Blogger, Tumblr, Facebook, and a host of other online publishing sites. For additional desktop publishing tools, check out Zenwriter (Windows) and Ulysses App (for Mac). We previously covered a big list of 23 tools and resources for creating amazing visual content, many of which appear below. For the complete list of image creation tools, check out our related post. Every month, receive an email with links to a new collection of free, high-res lifestyle photos. The site offers a premium subscription as well to be able to access and search its full archive. One of the 53+ places we scour to find free images, PhotoPin lets you search millions of Creative Commons photos from Flickr. Grab screenshots and annotate with notes, arrows, and icons. Skitch connects directly to your Evernote account so you can save all the screengrabs you take. Sometimes a simple meme says more than any other image could. 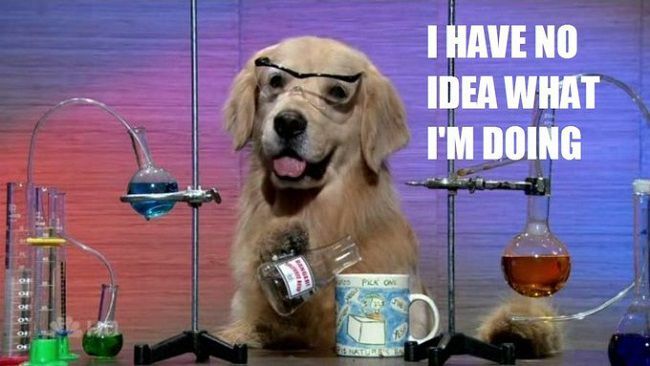 Meme Generator lets you create a meme from scratch or use an existing meme character to add your own saying. Probably our most-used image tool at Buffer, Canva makes image creation super easy (especially for non-designers) with their premade templates, custom image sizes for every social media channel, drag-and-drop interface, cool fonts, and more. Most every original image you see shared from our social accounts was made in Canva. Other great options include PicMonkey and BeFunky. Photoshop is the king of image software. Gimp is like a free version of Photoshop. Most all major features are there, and amateur designers can get all sorts of things done with layers, masks, photo effects, and more. Turn text from any webpage into a shareable image with the Share as Image browser extension and bookmarklet. The Pro plan ($8/month) even lets you add custom branding to the image and choose from a huge number of background photos and fonts. We wrote about the topic of content distribution tools in more depth in a separate blog post as well. Click through that post for even more ideas for tools and resources to try when promoting your content. 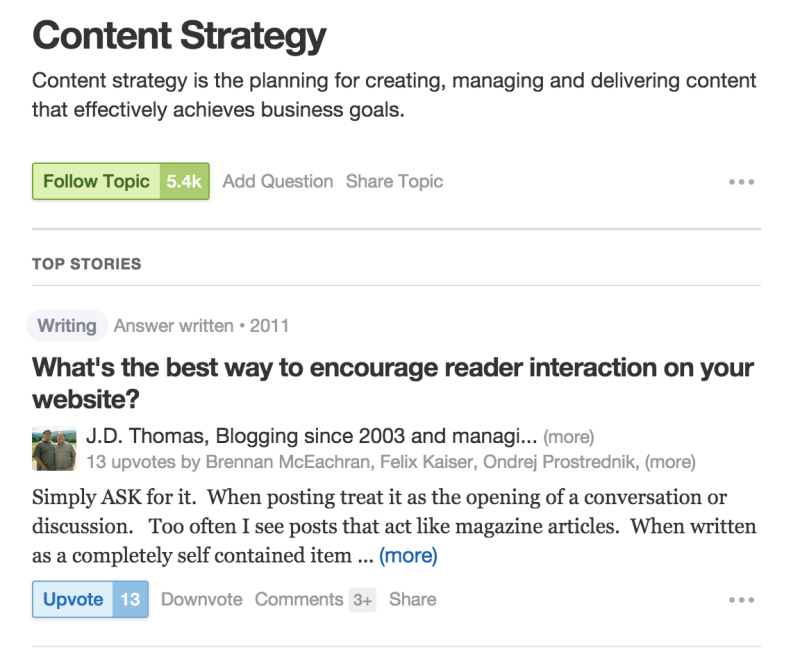 Once your blogpost is written and published, you can set up an easy sharing schedule with Buffer. Schedule your new article to go to your social channels multiple times with different headlines or images attached to each update. Emotional Marketing Value checks for emotional words in your headline, and the analyzer tool returns a score of EMV words compared to total words in the headline. Built by the team at CoSchedule (which also makes a helpful WordPress calendar and scheduler), this WordPress plugin makes it simple to highlight snippets of your blogpost for readers to easily share on Twitter. For sites not running WordPress, consider a tool like clicktotweet. In a single WordPress plugin, Filament contains a group of useful features including Flare, a social share button plugin that makes it easy for others to share your blogpost on Twitter, Facebook, Buffer, and more—even spots like Hacker News and Reddit. Other Filament apps include: MailChimp subscribe form, Google Analytics tracking, all-in-one profiles, code management, and share highlighter. Digg Digg was built by our Buffer engineers a couple years back, and it’s been a staple on the Buffer blog ever since. What we’ve found most helpful with Digg Digg integration is the flexibility of where you can place the share buttons: floating to the left or right of the article, pinned to the top or bottom of a blog post or manually wherever you wish inside your theme. 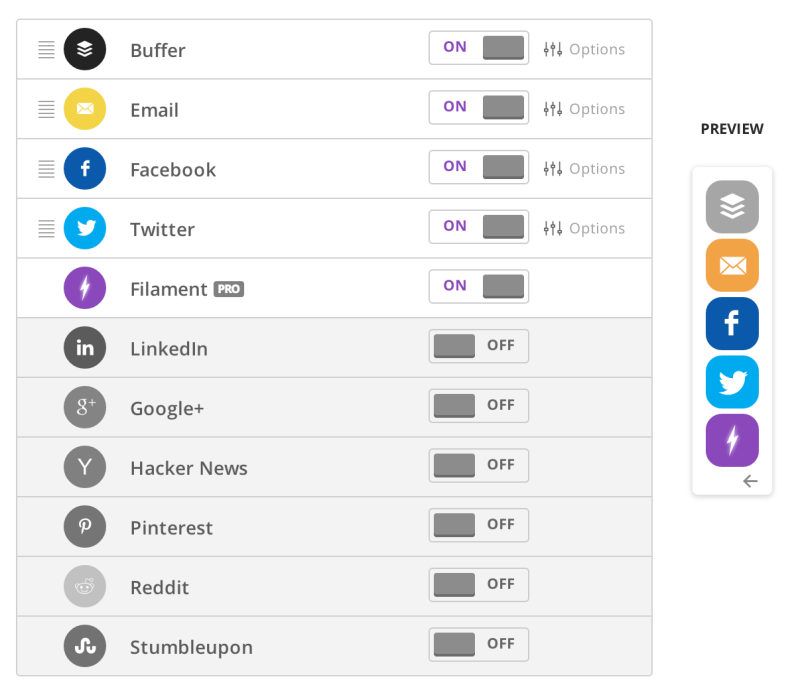 There’s a great list of social sharing plugins reviewed here, if you’d like more options. Signing up for webmaster tools can reveal a lot of SEO opportunities for your blogposts. For instance, see where you rank in search engine results for certain keywords, then build links to your most popular keyword posts to increase the rankings even more. MailChimp is one of the biggest and best (and free) ways to send email to your list of contacts. You can set up automated campaigns that deliver each new post that you write, or you can create campaigns from scratch. MailChimp offers free accounts for those with fewer than 2,000 contacts in their list. Run A/B tests of your headlines with this WordPress plugin from KingSumo. If the cost is a bit steep ($99 lifetime charge), you can try out the other Sumo plugin, SumoMe, which offers some handy tools for growing an email list, analyzing your blogposts, and sharing content to social media. What are your favorite blogging tools? Which ones did I not include here that you would add to the list? I’m always keen to learn more about what tools are out there. Please do share in the comments if you have any tips or tools to talk about!